Why subscribe: Subscribers enjoy discounted rates: 20% off for those who pay per-issue, 33% off for those who subscribe annually. 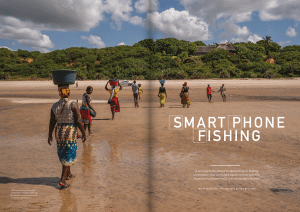 Scroll down to leaf through a selection of opening spreads from our issues to-date, along with synopses of a few of our most captivating articles. 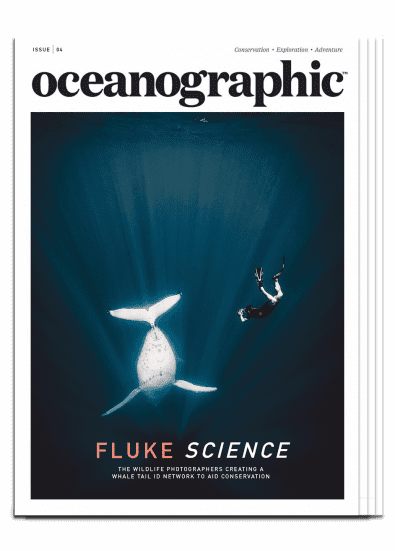 *Bi-monthly subscriptions start from the next issue of Oceanographic, annual subscriptions from the current issue. Bi-monthly subscribers will be able to add the current issue to their cart at a discounted rate during checkout. 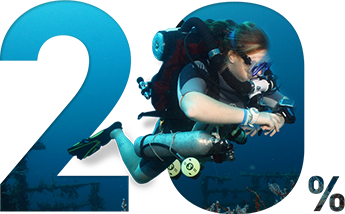 What CAN YOU EXPECT TO READ in OCEANOGRAPHIC? 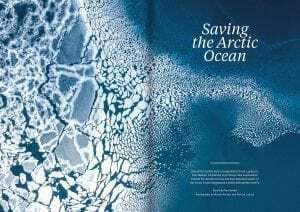 Explorer Pen Hadow writes exclusively for Oceanographic about his mission to create a marine protected area in the Central Arctic Ocean. 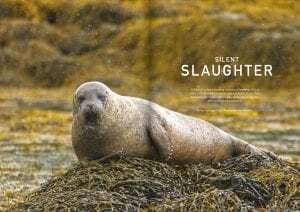 The campaign, proudly supported by Oceanographic, aims to permanently protect the international waters of the Arctic before international restrictions on commercial fishing are lifted. 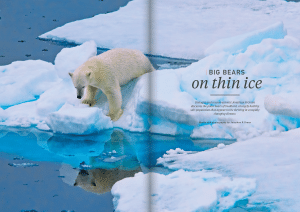 Pen contextualises his aims and ambitions against a personal history of Arctic adventure, including his solo and unsupported journey to the North Pole in 2003. British Columbia’s wild salmon population is under threat. 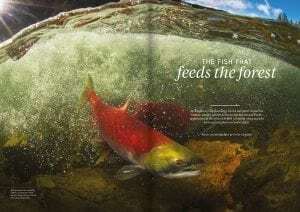 Investigative photojournalist and local resident Tavish Campbell reveals the devastating effects imported Atlantic salmon are having on local Pacific populations. 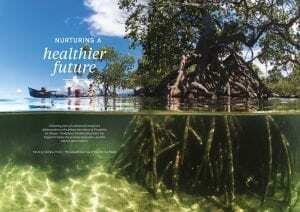 Open-net pens and poor farming practices - including the discarding of disease-ridden ‘blood water’ into wild migration routes - are affecting the health of local stocks, a food source on which many species - and the forests themselves - rely. 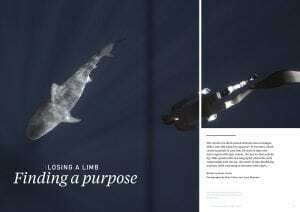 When surfer Mike Coots lost a leg in a shark attack his attitude towards sharks changed dramatically - he fell in love with them. 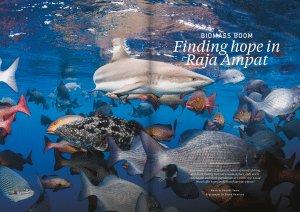 Interviewed all over the world in the aftermath of the incident and on his return to the water as an amputee surfer, Mike now speaks with Oceanographic Magazine about the conservation campaigns he is involved in and what it was like recently returning to the ocean to freedive with tiger sharks - the species that took his leg. Remote islands should be pristine environments. That is, at least, how we imagine them to be. The mid-Pacific island of Midway is about as remote as they come, but it is far from pristine. 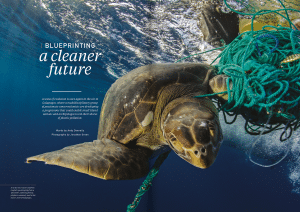 Plastics litter its beaches, carried there by ocean currents. 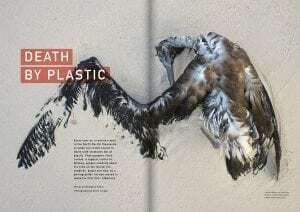 The bodies of albatross litter its interior, small piles of plastic where their now-decomposed stomachs used to be. 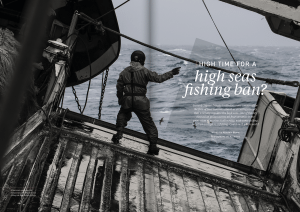 Chris Jordan, who spent three months on Midway filming the acclaimed Albatross, gives a compelling account of his time on the island. 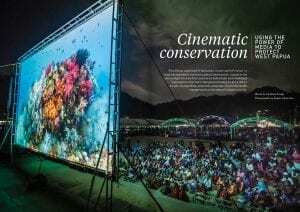 Each issue, Oceanographic talks with one of the world’s leading ocean photographers and showcases a selection of their work. 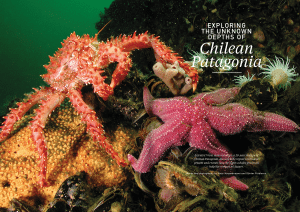 In Issue 02, we spoke with renowned conservationist Cristina Mittermeier, Co-Founder of SeaLegacy. 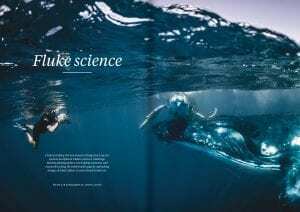 Marine biologist Dr Simon J Pierce, big wave surf champion Dr Easkey Britton, underwater photographer Matt Draper and shark ethologist (and 2018 Shark Ambassador of the Year) Ocean Ramsey all regularly contribute to Oceanographic Magazine.